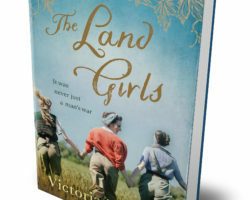 My next book THE LAND GIRLS will be published in Australia and New Zealand on April 15, 2019. I’m so excited about this book, which is about the experiences of three young women who sign up for the Australian Women’s Land Army during World War Two. You can read more about it and pre-order it here.